REFLECT: How are the gifts of creation made "holy?" RESPOND: Set a timer for 5 minutes. List everything for which you are thankful. "For everything created by God is good, and nothing is to be rejected if it is received with thanksgiving, 5 for it is made holy by the word of God and prayer." Some of the many things that I am thankful for include God's love, His mercy, and Christ laying down His life for me. 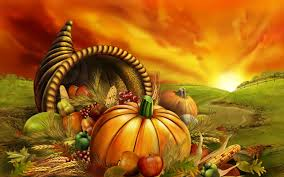 I am thankful for my family, for my friends, for my church, for my pastor, for my crossfit affiliate, for my job, for my dog, for the food that is available to me everyday, and for being born in an area of the world where every opportunity is open to me. I am so abundantly blessed, and I am thankful for Crossfit Faith and Coach Pugh. May God continue to bless you and the amazing work that you do.